Following the last release we have continued to add features and improvements to our Motif software. This post includes a short overview of some hightlights, while a full list of changes is provided on our website. Each and every Motif system receives automatic updates without any extra charge. 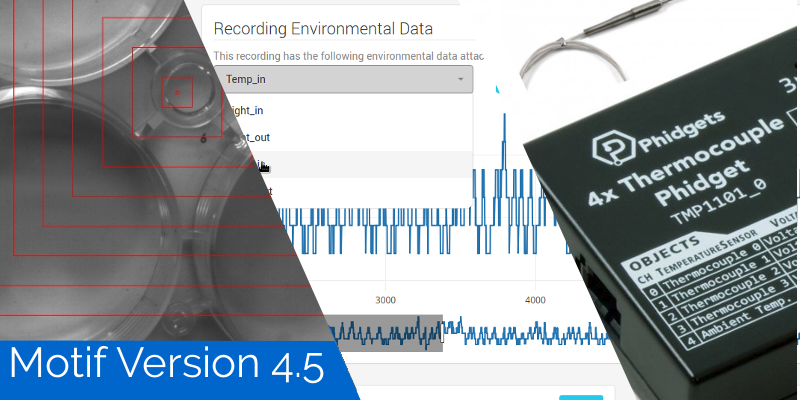 Because we record to our extensible and open imgstore format, all sensor recordings are immediately associated with both the time and framenumber of the video being recorded. 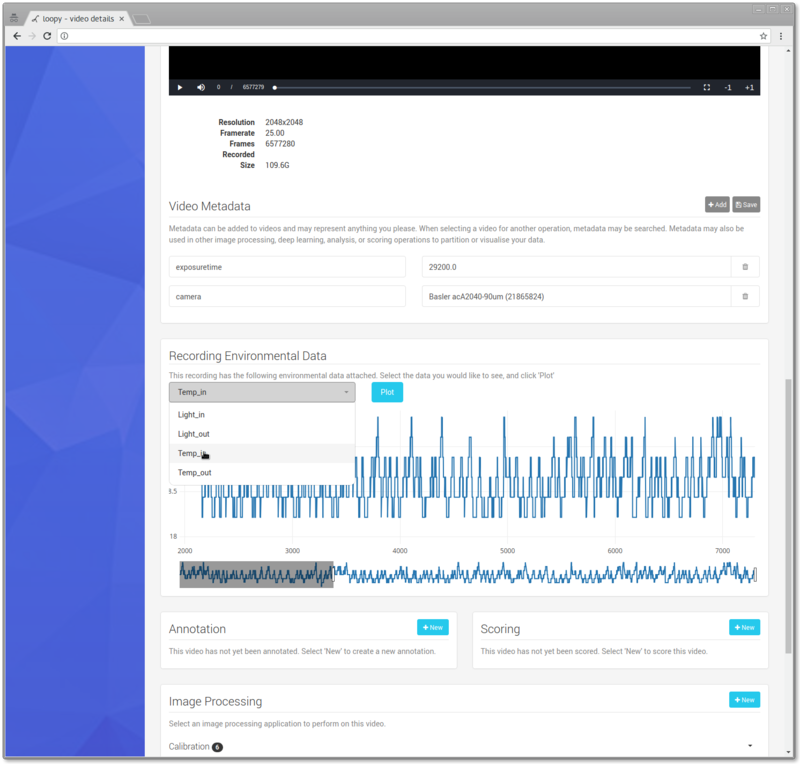 Following on from above, if you have a recording with environmental data associated, this will be immediately visible in Loopy after the imgstore has been uploading or imported. 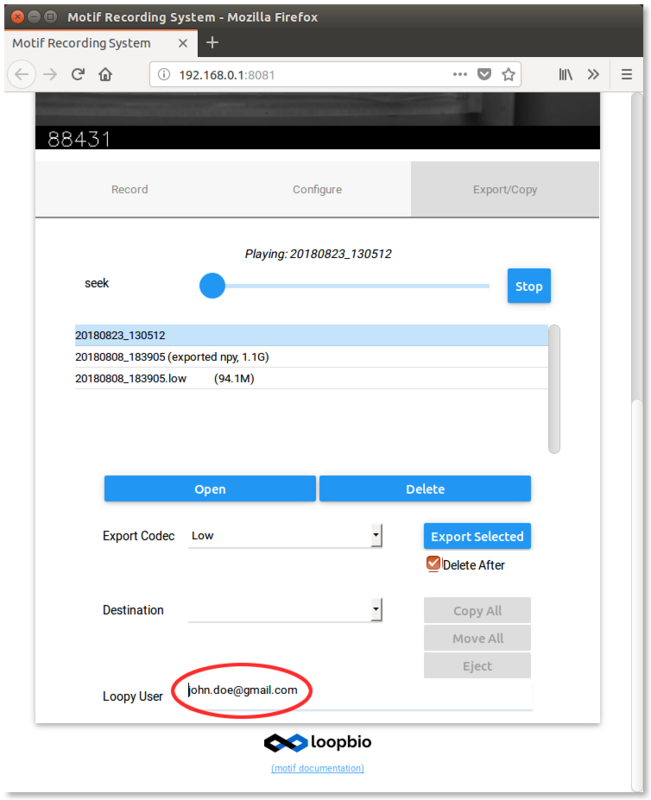 If you are running an on-site version of Loopy, your Motif and Loopy systems can be configured to allow automatic import of recordings after the completion of your experiment. This feature is especially advantageous when both systems are integrated with your IT infrastructure because all video and experimental data is automatically added to your shared and backed-up network storage without risk of deletion or loss. Further descriptions of the powerful integrations between Motif and Loopy will be the subject of a future blog post. 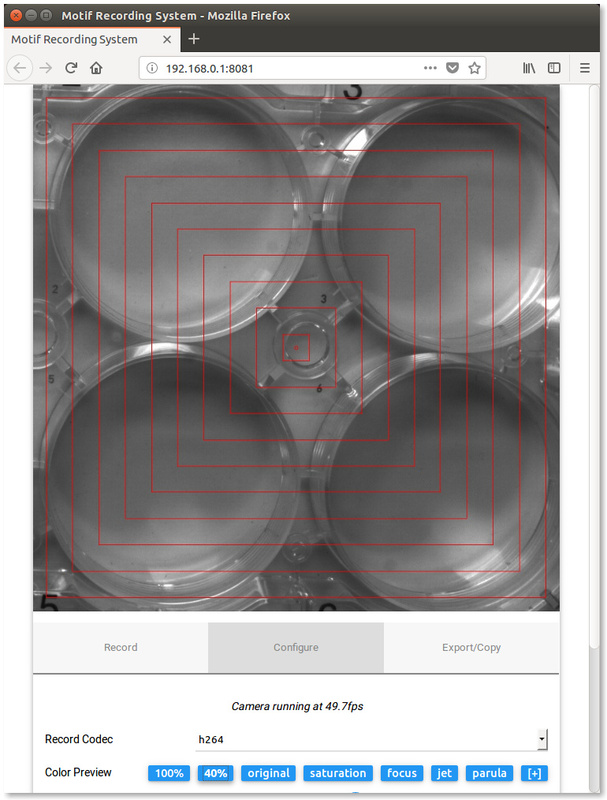 The last motif release added a number of image feedback augmentations to help with setting up your cameras and experimental assays. This release added a new visualization designed to help with alignment of samples inside the experimental apparatus, or to help align multiple cameras in a multiple-camera situation. The center of the image is indicated, in addition to concentric bands respecting the aspect ration of the camera sensor. 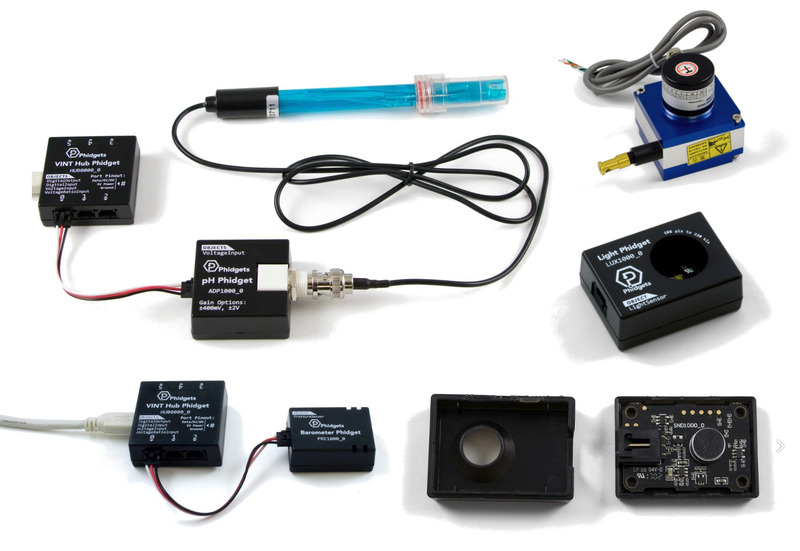 Motif is the first video and camera recording system designed for the experiments of modern scientists. It supports single and multiple synchronized camera scenarios, remote operation, high framerate and unlimited duration recording. It is always updated and has no single-user or other usage limitations. If you are interested in a Motif system, please contact us for a quote or to see how Motif can solve your video recording needs.